Making a Fruit and Cheese Tray seems easy enough to some people, but I have had a number of people ask me questions about the task so I decided to write down some suggestions. 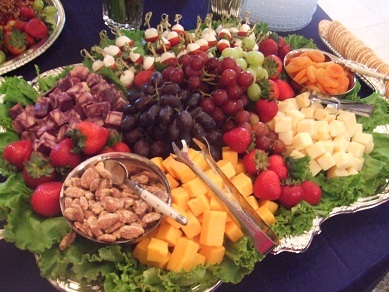 Entertaining frequently includes some kind of cheese tray, often with fruit and/or vegetables and/or meat or a combination of these foods. Often these trays include crackers and/or artisan bread. 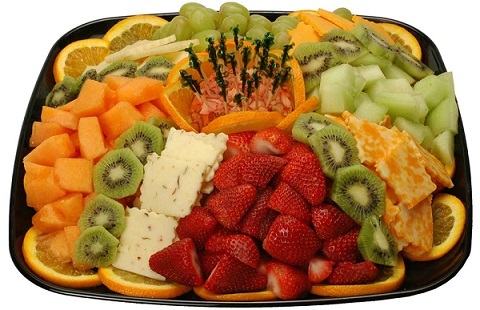 If you are short on time you can, of course, buy a fruit and cheese tray at most good quality grocery stores. But if you have the time this is an opportunity to be creative and introduce your guests to some new cheeses. It's great fun! What Cheese and How Much? The number of cheeses you will need (or want to have) for your party tray depends on how elaborate you wish to make it and this often depends on what occasion it is for, who your guests will be and how many of them. One semi-soft such as a Bleu - I like Stilton cheese, or introduce your guests to a smoked cheese variety. One harder cheese such as a quality Cheddar or Gouda. Note: If you do have left over cheese, there are many options for using it, including in sauces and soups. Remember to take the cheeses you are using out of the refrigerator 30-45 minutes prior to serving so that they may reach room temperature. What Fruit Will You Use? Try for seasonal fruits, local fruit if available, and again have three to five different kinds of fruit. Where I live I frequently have grapes (sometimes two varieties), strawberries, honeydew melon and cantaloupe, kiwi, apples (usually two different kinds) and pears (again, I am blessed to live in an area where these fruits are readily available). Something else to remember, especially if fresh quality fruits are not readily available: add some quality dried specialty fruits. 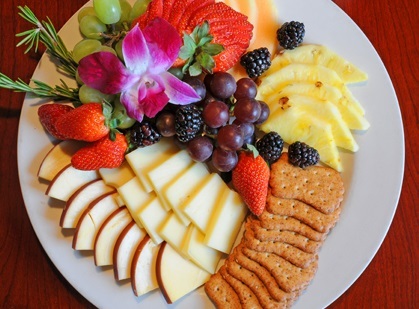 Arrange cheeses with seasonal fruits cut into bit size pieces (this is also an opportunity to have a few nuts as part of your Party Tray as well. Don't forget your tongs, cheese knives, cheese forks, utensils and/or wooden picks and serving plates and ...don't forget to have a great time! 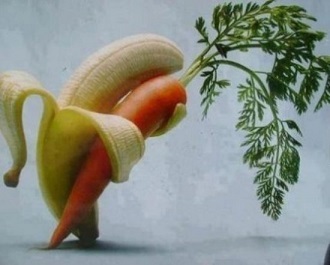 Fruits and vegetables and cheese love each other ...and us! For more cheese ideas and varieties read my articles on cheese. Enjoy your Fruit and Cheese Tray and the company of those you share it with! Did you know? Tomatoes are a fruit not a vegetable. Tomatoes are the most popular fruits in the world.